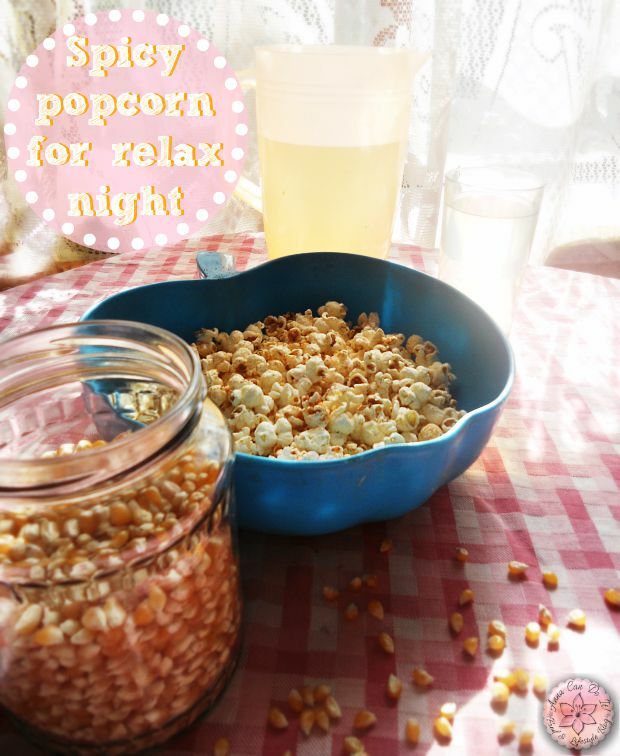 Today I’m gonna show my spicy popcorn for relax night! Everyone deserves a relax night at least once a week, Sunday is perfect for relaxing nights, if you ask me! The weather is so hot here (see, it couldn’t be hot when we were on vacation, just before and after that…typical), about 95-98°F constantly, so hard to do anything, that’s why my blog is lack of recipes lately (sorry ). Anyway, since we are having a house makeover – cleaning, painting, etc. – everything is full of dust, so now I have to fight with my allergy too, not just the hot weather. I think you can imagine what it’s like to pack all your stuff, clean everything while it’s so hot everywhere… We all got so tired, so now we’ll have a relax night before the next week’s makeover. For today’s relax night I’ll light a scented candle, take a long bubble bath (what’s more relaxing and cheering than bubbles?!) – not a hot one this time, just a warm one -, have a lot of my mint tea, grab a book, probably re-read one of Darynda Jones’ Charley Davidson series’ book (I’m addicted to Darynda Jones’ books and completely fallen in love with the Charley Davidson series! 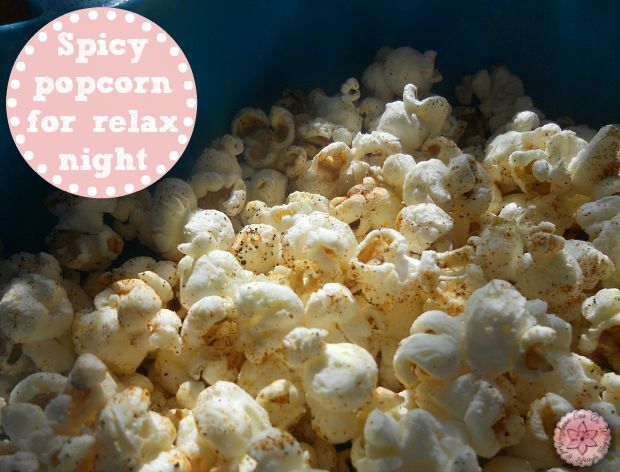 ), or watch a movie with Laci, sharing a bowl of my spicy popcorn. For the spicy popcorn, all you need is popcorn (obviously) and spices (obviously again). I made my own popcorn, it’s really simple, all you need is a big pan, a tablespoon of oil and the corn. How do you relax after a long day? How you survive and keep yourself cool on a hot day? What is your favorite popcorn topping, spice?